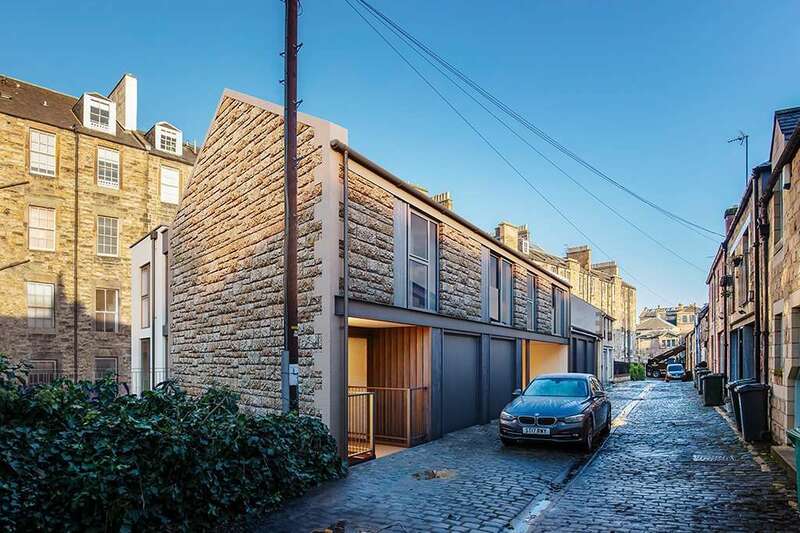 Development of a city centre gap site within the World Heritage Site of Edinburgh’s Georgian New town, forming two ‘contemporary mews’ style, three storey, 4 & 5 bedroom semi-detached dwelling houses, with integral garages and private rear garden provision. 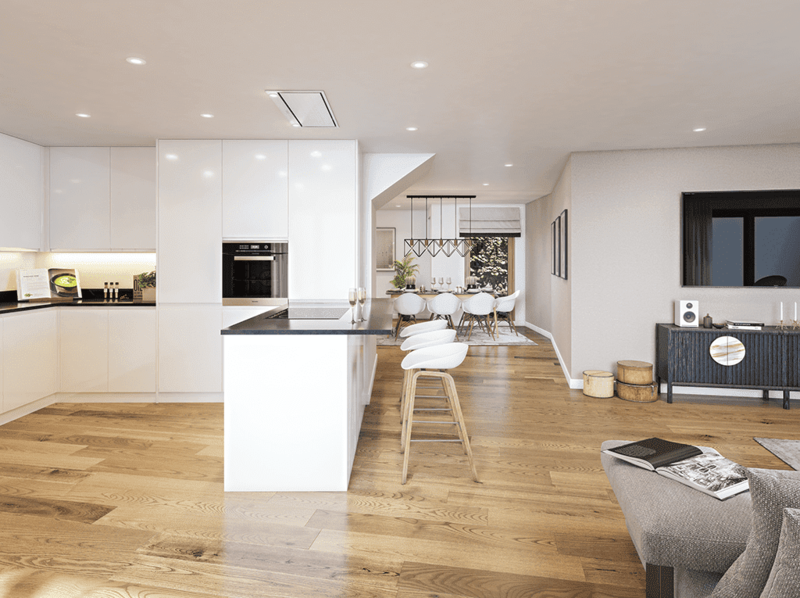 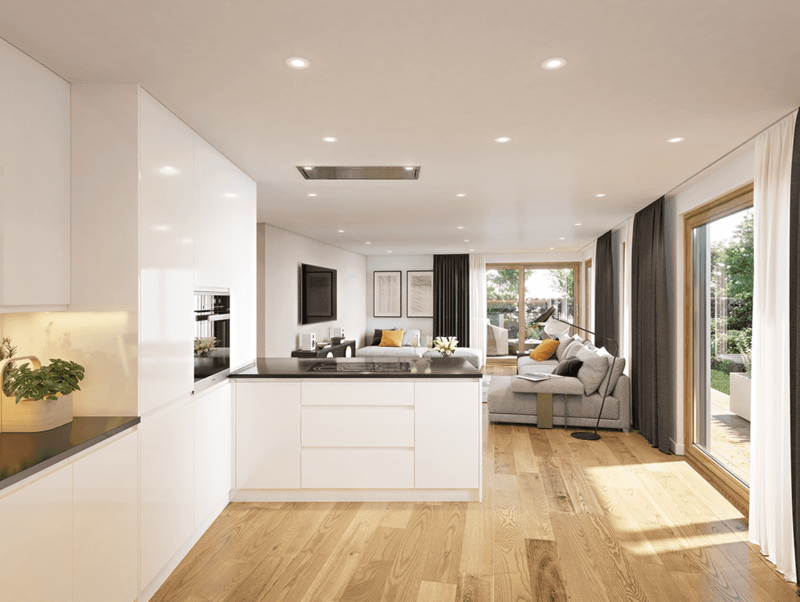 The site sits within a traditional mews setting between a 5 storey block of tenements to the north and west and 3 storey townhouses with basements and attic to the South along Broughton Place, accordingly the houses are split level, with the mews façade facing Broughton Place Lane. 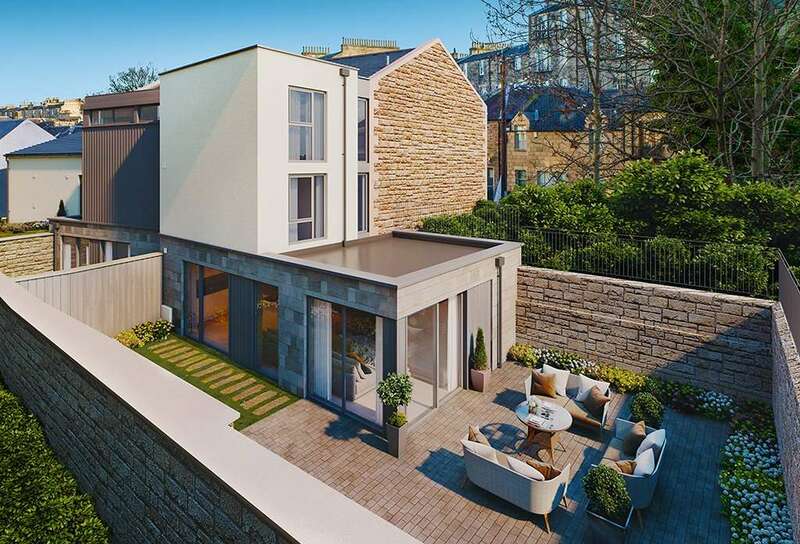 The dynamically styled ‘extension’ to the north sits one storey below, with the existing ground levels being excavated down to the garden level of the tenements.